Enchanted Kingdom: The Fiend of Darkness Collector's Edition is rated 3.4 out of 5 by 19. Rated 5 out of 5 by skeeteroo from Best one yet I see that some folks don't like having to do the puzzles to diagnose, but I heartily disagree. I personally don't like to whip through the game too fast and many of the puzzles are new and unique. Sure the story is pretty similar to the rest, but since I'm a healer, I figure that's what I'll be doing. I enjoyed this one a great deal. If you want more bang for your buck, get this one. Challenging, good graphics, and loads of fun! Rated 5 out of 5 by nariiska from Next Chapter Awaits I love this series and was excited to see another chapter awaited!! The updates including healer's chest bring this game up to date and modern. Well done !! 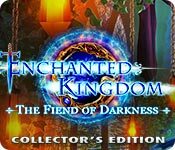 Rated 5 out of 5 by briar53 from Enchanted Kingdom: Fiend of Darkness Collector's Edition Do not listen to those poor reviews this is a great game I have enjoyed this game. I will play this game again. This is far better then Spirits of Mystery the Lost Queen. Get off your high horses and start giving actual truth. Rated 5 out of 5 by hopqueen from Attractive and Fun! Domini Games always comes out with winners! I love this game, just like I loved their other ones. They've made improvements to this one - when someone comes down with an unusual illness and you have to diagnose them, you now play a game for each area that needs to be diagnosed. Before, you just clicked on the affected spot. Now you have all these great little mini games. This is a visually beautiful game with a lot to do in each scene. I've always liked that each game lets you choose the easy or hard setting, and they still have that with this game. I also always love about their games that it tells you what collectibles are in the area that you need to find. If you want to ignore them, you can, but if you want to find them all without having to go back after you complete the main game, then this is super helpful and a lot nicer. My only complaint is that there hasn't really been a genuine hidden object that I found during the sample. Anything resembling a hidden object was super simple and didn't really count, in my opinion. That part isn't so great, but I enjoy all the puzzles quite a lot, so I would still buy the game for sure. Rated 5 out of 5 by lizzardlips from fun HO game I love All of the games in from this developer. I positively love finding the extras. 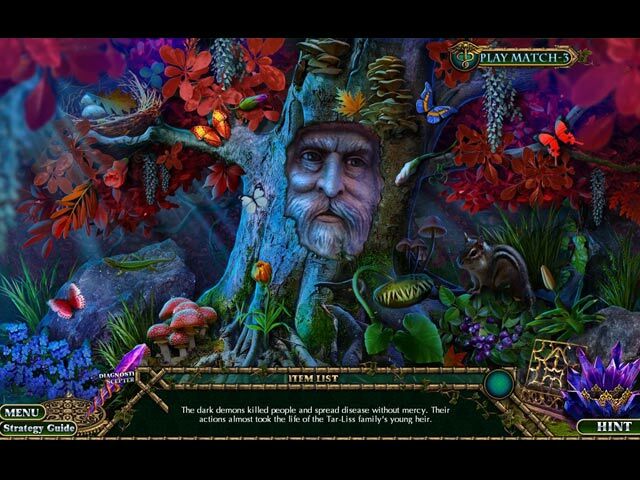 I love the option of match three/bobble popper plus others versus hidden object. I will buy this game. I LOVE IT!!!! Rated 5 out of 5 by rainworm from Healer against Dragon The Empress of the Tar Kingdom, Patricia, is ambitious and when a petrified dragon is found, she wants it at her palace for an exhibition, thereby ignoring all warnings by her advisor Dr. Klein. There is a history of good relationships between dragons and humans, though long ago, and dragon magic could help the kingdom once. But there had been the one, who chose the realm of the demons over the one of the humans and this dragon could still do great harm. So, who is this petrified creature? Dr.Klein calls for us, the healer, who is immune against black magic. Our mission will be again protection and defence of the tar kingdom, its empress and people. The dragon easily frees himself of his shell and turns out to be the dangerous Gromoss, the one, who chose the demons over the humans. His first move shall be to turn all people into demons with his fire. When we enter the palace, he has already infected the empress and the process of transmutation is beginning. So, healer, diagnose and treat! Of course our diagnostic tool and the medical kit are part of our equipment again. The diagnostic process is now extended by small puzzles for each area that is infected. Collecting ingredients and brewing the potion is unchanged. We can heal Patricia and after her, the next victim, her weather specialist. After extinguishing the infectious flames, the danger for the people is averted and we set out to destroy Gromoss. 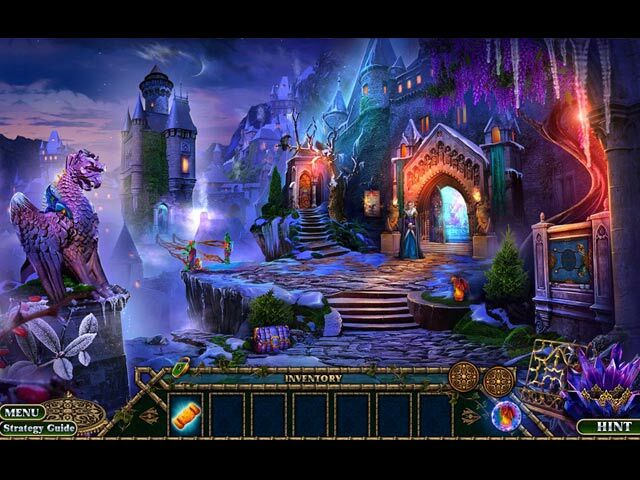 As all games in this series, a charming fantasy feast, spiced with many puzzles and HOS, all variable, puzzles with easy/hard option. The plot unfolds fast and the story is given mainly in HOS or in dialogues. Fantasy is not my specialty in games, this case of black dragon magic is another well made game in this series, a must have for fans! Rated 4 out of 5 by Majestyx12 from Don't make the Dragons Dark Based on the finished game with bonus content. This is the fourth game in the series and I played them all starting with the first one A Dark Seed which is my favorite. This one is different from the others. They changed the Diagnostic. Before in the other games you chose the spots on the person to diagnose. Now it is a up-to-date diagnostic scepter that does it for you but to have to do a mini-game for each effected area. Like neck, puzzle, eye, puzzle, brain, puzzle and so forth. 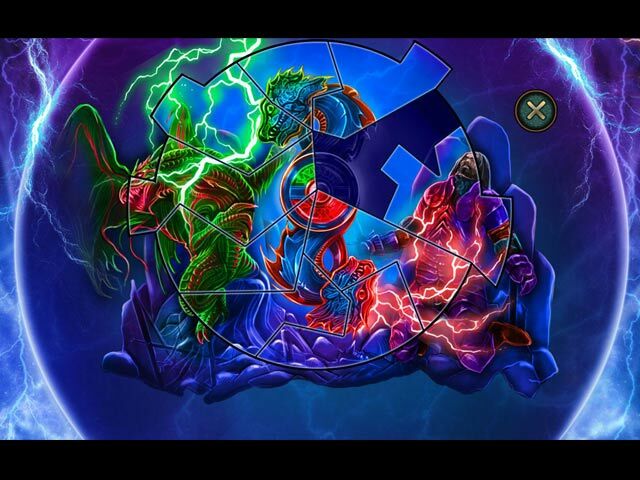 That's great if your a puzzle gamer and not if your a hops gamer. I don't like it. I want it the way it was. It has 5 chapters and it's data rich with the most data I've seen in a hops. 2.1 G. I liked the story, game play( which does have a lot of back in forth but the map is good), characters and the hops. I liked some puzzles but skipped plenty. Replay 18 hops, 17 mini-games. Liked collecting 70 dragon eggs to buy things for the Medico Imperium Lab. Liked collecting 15 dragon figure with info. Rated 4 out of 5 by stephanie_press from Could've been spectacular, but still a fun game overall. From the standpoint of the puzzles and HO, they do become very redundant, particularly in the Bonus Game. Fortunately, I don't mind some redundancy as long as it's cleverly executed, like diagnosing patients as a Healer. It's not challenging, but it's interesting and relaxing to play. The graphics are great, and most of the items seem reasonable and not anachronistic which often takes me out of the atmosphere created in these types of game. I do like the overall storyline of this series and the background here of humans vs dragons. It could be a much richer experience if the developer would just put a bit more work into rounding out all the world building, like the details on the individual dragon types and their mythos inside the game instead of just tidbits as collectibles. I don't recommend purchasing the SE, though. It's very redundant. Rated 4 out of 5 by sweet4grease from I already have a problem I love this developer and have loved every game in this series. I especially love that the map shows the location of bonus items. However, while playing this demo, I was unable to get the "page" bonus item in the winter garden. The map shows it's there, and the guide points to the location at the bottom of the steps. Yes, I resorted to the guide after wracking my brain to find it. I believe I can see it there, but am unable to click on it.